It’s very late right now, but we’ve been so busy working on Happy Chess updates, that we just couldn’t wait to share. We’ve really been getting some moment lately, especially with our upcoming appearance at The Game Con 2015. It’s a family-friendly gaming convention taking place in Galveston, Texas and it will be our very first official debut. We can’t wait to get feedback from the public on what they think about the game. If you’re attending The Game Con, we’d love to meet you. 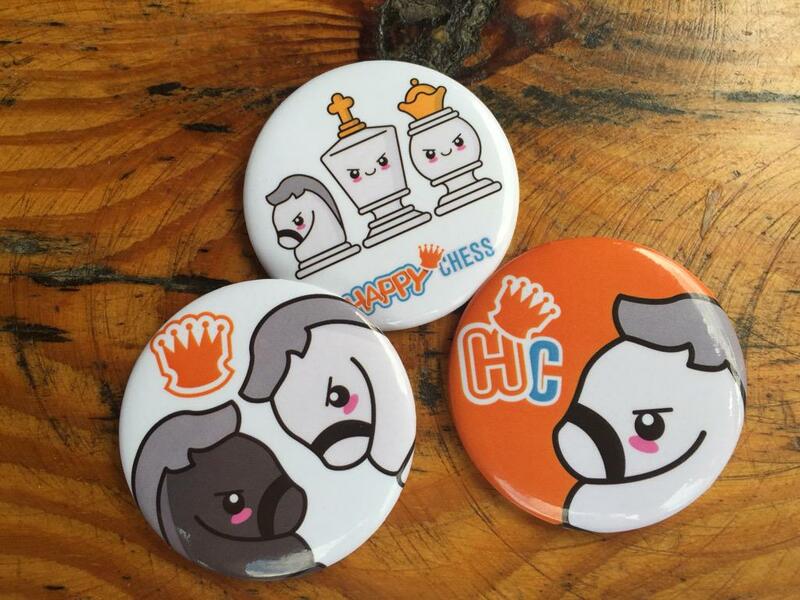 Stop by our booth and pick up some giveaways, plus be entered to win a Happy Chess t-shirt! Take a look below and check out some of the graphics we’ve been working on! We wanted to be able to give out something for the attendees to remember us by, and we found an amazing company, Pure Buttons that creates affordable and excellent quality buttons in such a short amount of time. They’re also part of the same company that makes Stand Out Stickers, and we just had to have some of those as well! We are lucky enough to be good friends with Kibbe Screenprint, who made us some amazing t-shirts to giveaway at the convention. Take a look at the shirts and let us know what you think! Interested in purchasing any of the designs you see here? Drop us a line and we’d love to send some stuff your way. 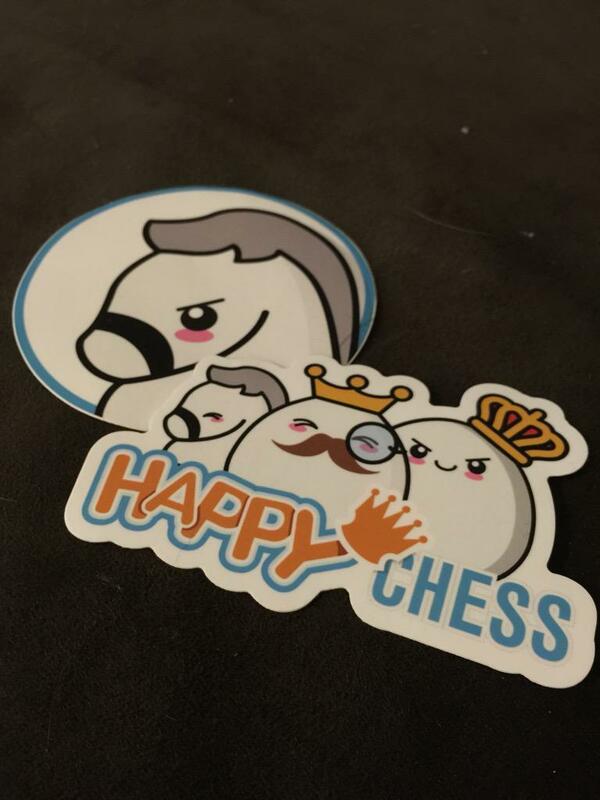 All of the proceeds we receive from the sale of merchandise go back into developing Happy Chess, to make it a bigger and better game for you!